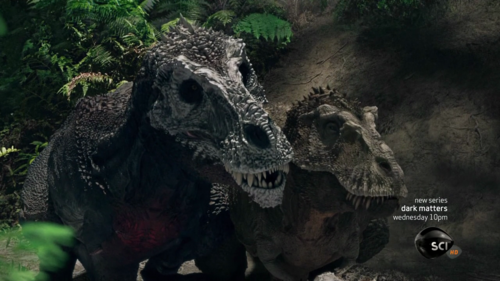 Jurassic World - Official Teaser Trailer ! Started Dec-26-2018 3:21 AM by SpinoRulesSuckas! Started Dec-25-2018 12:04 AM by SpinoRulesSuckas! Started Dec-24-2018 10:09 PM by SpinoRulesSuckas! Started Dec-23-2018 6:50 PM by SpinoRulesSuckas! Was the cgi for the first three films REALLY that good? No. Jurassic Sesame Street: How Many Tyrannosaurs? Started Oct-05-2018 12:14 AM by SpinoRulesSuckas! Sam Neill cameo confirmed in JW:FK! Dinosaurs! What new species would you like to see? **VERY MINOR SPOILERS** Isla Sorna in JW: Fallen Kingdom? Did you hear Eli Mills briefly mention Sorna? how to FIX jurassic park 3.